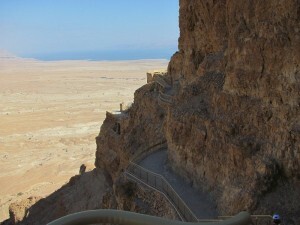 Masada, located west of the Dead Sea in south-central Israel, was the site of a mass suicide. The last of the Jewish anti-Roman rebels were hiding here when an army of Roman soldiers laid siege to this former palace of Herod the Great. When the fall of the compound was evident, the almost 1,000 Jews were methodically killed by a handful of chosen warriors who then took their own lives rather than submit to a life of slavery under Rome. 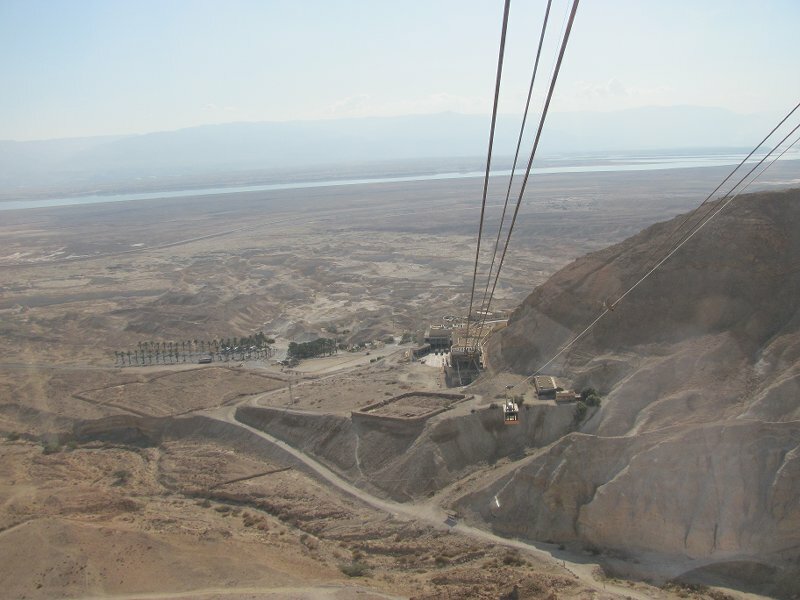 The site has been extensively excavated and has become a symbol of Jewish freedom and a holy place of commemoration. 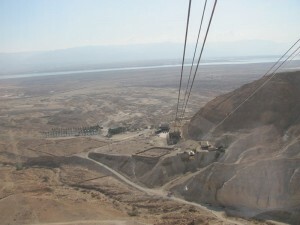 The Roman siege took months because of the location of the palace, high above the stark landscape of the Dead Sea Region.